Missing a tooth or several teeth? Staibano Dental Group can help you restore the function of your smile with dental implants. Unlike fillings or crowns that are bonded to the tooth, dental implants are surgically implanted into the jaw bone below the gum line. After the implant is placed, an artificial, natural-looking tooth is attached to it. Over time, your bone and gum will continue to grow around the implant, providing it with extra stability. Dental implants are extremely popular choices for people who have lost a tooth, or multiple teeth, due to periodontal disease, injury, or a medical condition. 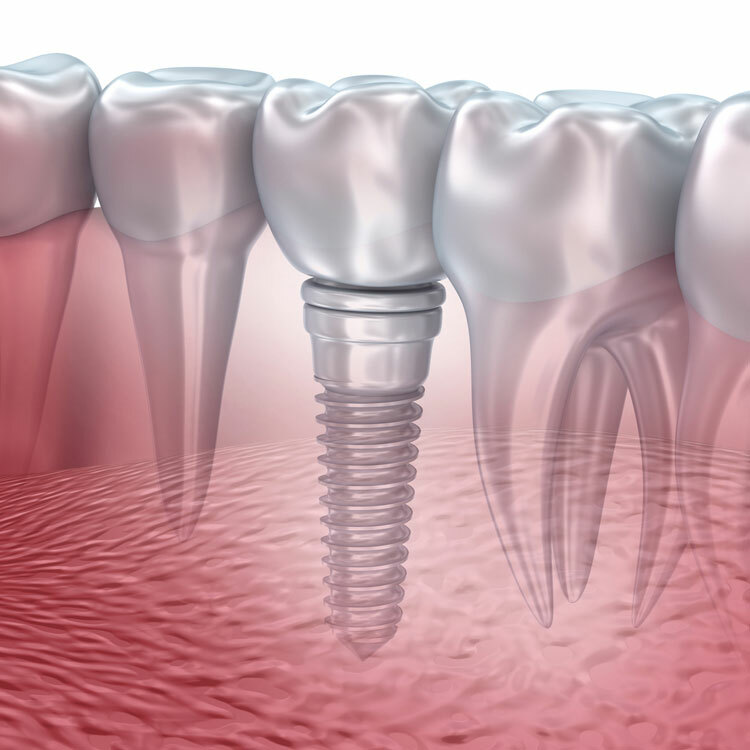 A dental implant is a replacement for your tooth’s roots and is anchored to your jaw bone. Once put into place, these implants enable the dentist to attach a cap, denture, or bridge to them. These are designed to be long lasting, and with care can last for many years. They are not your teeth but can function just like them.